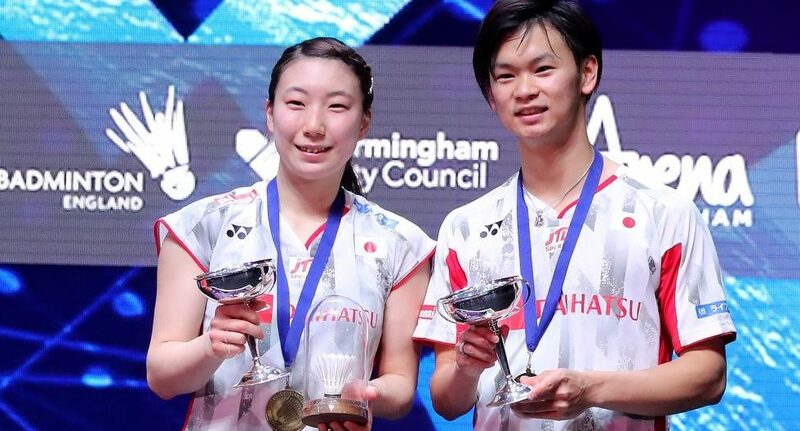 Young and exuberant Yuta Watanabe and Arisa Higashino sensationally upset the form book today, giving Japan its first Mixed Doubles triumph in the 108-year-old history of the prestigious All England Open. When fearless dynamo Watanabe soared high for another rocket smash to seal the famous result, their coaches – Park Joo Bong and Jeremy Gan – as well as scores of fans broke out in jubilant celebration as last year’s surprise semi-finalists went two steps better this time around – ascending to the coveted throne in grand style: 15-21 22-20 21-16. 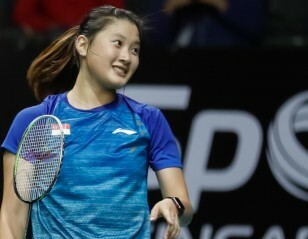 The champions of the YONEX All England Open Badminton Championships 2018 (featured image) – aged 20 and 21 respectively – earned their glory the hard way, fighting back from a game down to beat China’s latest star act, Zheng Siwei and Huang Yaqiong; the latter bidding to repeat the feat she achieved with Lu Kai last season. Huang’s ambition seemed on track with she and Zheng took the opening game but they were in for a rude awakening at the change of ends as the Japanese combined spectacularly, mixing power, pace, precision and deft placement, to lead 11-5 and stay in front until their rivals fought back to 17-17. Undaunted, Watanabe and Higashino shook off that stutter to ensure a decider in which they again roared ahead and never allowed their rivals a whiff of overtaking them. “This was a fantastic match and a great tournament,” stated ecstatic Watanabe, crediting excellent communication for their success. The pair also lauded the tactics and plans which their new coach, Jeremy Gan, has brought to the table. While thrilled to etch their names in history, the duo announced they are hungry for more success and hope to win again next season. Reflecting on their loss, the Chinese conceded they slowed down after the first game and lost important points. “They were quicker than us,” said Huang, admitting the pressure of a big final weighed heavily on them. Kamilla Rytter Juhl/Christinna Pedersen know how it feels to be weighed down by expectations and aspirations and today the Danish tandem shook free of the mantle of always being second best in the biggest matches of their careers – the Rio 2016 Olympic Games, the World Championships in 2015 and even last year’s All England finale. The most durable partnership in Women’s Doubles finally landed “one of the big ones” as they termed it. “This is amazing! 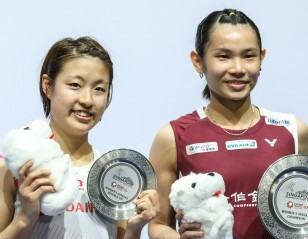 This is the most unbelievable feeling I have ever had in badminton,” declared an emotional Pedersen after they beat Japan’s Yuki Fukushima/Sayaka Hirota to lay claim to the silverware that eluded them a year ago. Holding firm in the testing moments of the match, the Danes revelled in the reward of a mostly disciplined display, defeating the No.4 seeds, 21-19 21-18, in the first HSBC BWF World Tour Super 1000 event of the year. 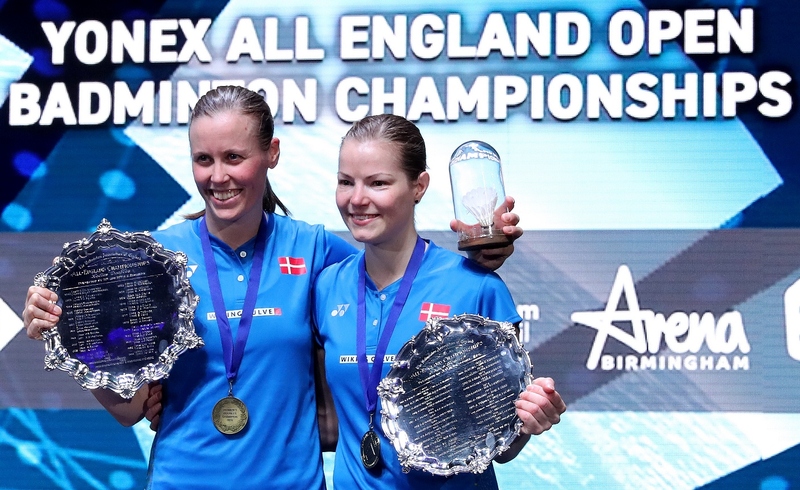 “I still have goosebumps…standing here with the trophy, making history,” Juhl told the media after she and Pedersen became the first Danish duo to win Women’s Doubles at the All England since 1965. 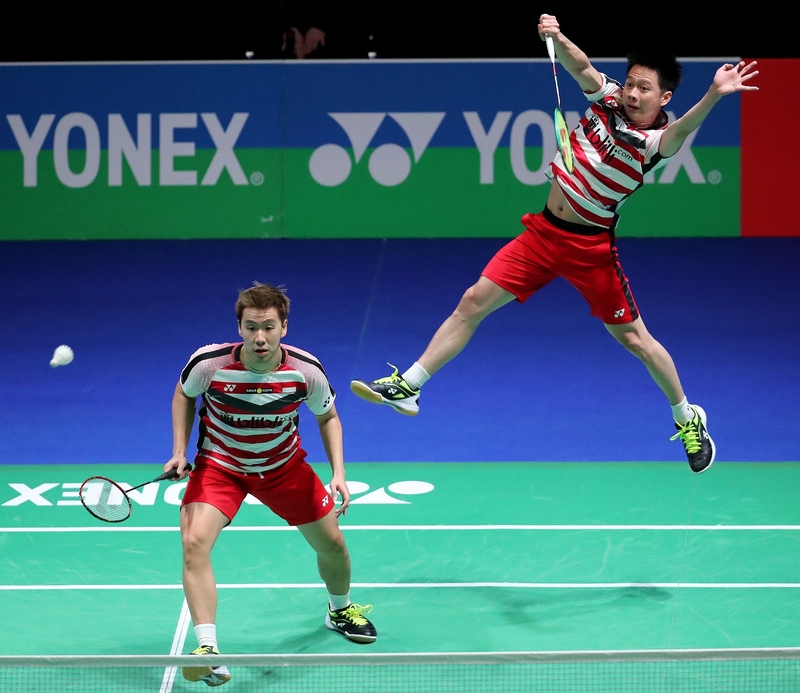 Denmark’s hopes of twin titles were dashed, however, by another marvellous performance by Indonesia’s Men’s Doubles dynamos, Marcus Fernaldi Gideon/Kevin Sanjaya Sukamuljo. Though Mathias Boe/Carsten Mogensen fought valiantly – proving themselves worthy of the final – they failed to find that je ne sais quoi to give them the edge over their younger rivals. Each time they threatened to get a grip on the proceedings, the title-holders conjured up amazing plays to keep their nose in front. The spectacular manner in which the duel concluded was a moment of sheer brilliance, compliments the ever-entertaining Sukamuljo. Anticipating a shot from Boe perfectly, the pint-sized player rushed to net and, jumping forward, pulled off a stunning backhand smash that gave the Europeans no chance; the world No.1 pair falling to the court in relief as much as in celebration of the 21-18 21-17 conquest. “Defending a title is never easy. One year is a long time. A lot of things can happen. We have to maintain our level so this victory means a lot to us,” said 21-year-old Sukamuljo as they closed the curtains on another memorable edition of badminton’s oldest tournament.